"Finding Caroline was like placing a personal ad for an imaginary friend, then having her show up at your door funnier and better than you had conceived. Apart, we had each been frightened drunks and aspiring writers and dog lovers; together, we became a small corporation." I think that's what we all dream of in a best friend - our imaginary friends but better. Sadly, Gail and Caroline were only to be friends for 5 years. Alas, May's theme with book purchases was: Backtrack. Finally, The Imperfectionists by Tom Rachman, I picked up at B&N - it's my book club book for June. Would have gone to the indie for it, but my BF likes to shop at REI which bores me to tears. However it is next door to a B&N. Hopefully June will be more like April! Wish me luck. Foolishly, I sat on this book for a year, even though it had strong recommendations and was supposed to be hilarious. My loss because it was everything promised and more! It's the story of Pete, a 20-something who works at an essay writing company, and is dismayed when his former love decides to get married. He plans to prove himself (and hopefully one-up the groom) by becoming a bestselling/famous novelist. He studies the bestseller list (the included faux NYT list is nearly the funniest thing I've ever read), comes up with a list of plot properties that a bestselling novel ought to include, and then goes about to do just that, writing The Tornado Ashes Club, a mash-up for The Bridges of Madison County, The Notebook, Band of Brothers, and All the Pretty Horses. Pete is nakedly honest with us about his reasons for writing his novel, and his goals (money, fame, rubbing people's faces in it). But naturally things get out of control, and nothing ends up quite as he hoped. I was laughing out loud throughout this book. In his satire, Mr. Hely skewers the book publishing industry pretty accurately. Filled with knowing irony and biting humor, this book should intrigue anyone interested in publishing. When you read my review, you'll likely be tempted to ask, Why did you bother to finish this book? Simple answer: book club. I certainly wouldn't have otherwise. Sure, I also could have a smaller footprint if I had my girlfriend drive me around and mooched off businesses' electricity for my computer, but he doesn't acknowledge that neither of those things actually reduces his footprint as the gas and the electricity are still consumed by him - they just reduce his need to pay for those commodities. Additionally, the constant digressions to esoteric philosophies, and unrealistic conversations had me perpetually exasperated. Who calls their girlfriend - having ridden a bike to a pay phone because cell phones of course are too gauche - to ask, "What is sin?" The fact that Leah likes him definitely proves the adage, there is a lid for every pot. And when he finally - more than 200 pages in! - revealed that he had a 2-year-old daughter in South America, his self-righteous denial of a cell phone (or land land) went from annoying to irresponsible. And I did not believe his protests about how much he missed her and how much he wanted to spend more time with her. He was choosing to live in a shack and do nothing - what was keeping him from his daughter exactly? And not mentioning her for over 200 pages also doesn't convince me of how much he misses her, no matter his protests that his complete lack of a mention of her is due to the great pain he feels upon even thinking about her. I wanted to like this book. It has an interesting concept and politics I believe in (if not this extreme). However by the end of it, I wanted to turn on every light in my much-too-big condo, overpay my taxes, and microwave frozen food from a multi-national conglomerate, just counteract all his do-goodery. Naturally, I won't in fact do any of that (except perhaps the microwaved food, mmmm) but he was so self-righteous and prideful of his earth-saving that it completely turned me off. Only my common sense that this feeling will pass has kept me putting my recyclables in the proper bin. I wish Mr Powers well and he does good things in the world, but I was glad when this book was over. I got this book from a friend who passed along an ARC to me. Shogun: A Novel of Japan by James Clavell - yes, I am as tired of seeing this book on my list as you are. So I have a new strategy. I am going to read (at least) 10 pages with my lunch every day. I am nearly halfway through, and not about to give up now although it's tempting. So I have roughly 700 pages to go. 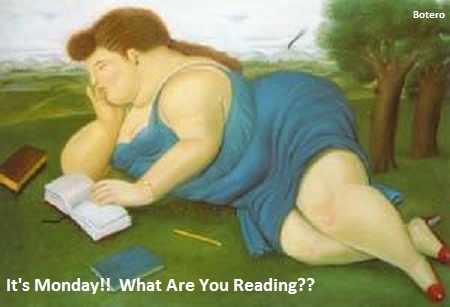 At 10 pages a day, I should finish in 2 months. And hopefully I'll occasionally pick it up in between and read a little more. Oooh, what a great book! It was written after my time so I never had a chance to read it when I was the right age (although I admit the odds of me reading it then even if I were the right age were slim), but it reminds me a great deal of one of my very favorite books: Island of the Blue Dolphins by Scott O'Dell. 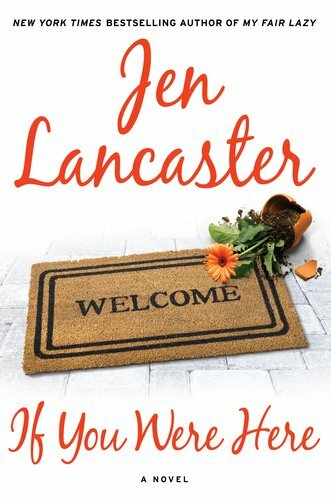 In this novel, Brian, a 13-year-old-boy whose parents have very recently divorced, is flying from New York to rural Northern Canada to visit his Dad for the summer. When the pilot has a heart-attack, the plane crashes into a lake, and Brian has to figure out how to survive. But unlike Karana, Brian is a city boy and doesn't know the first thing about how to find shelter, food, or how to start a fire. 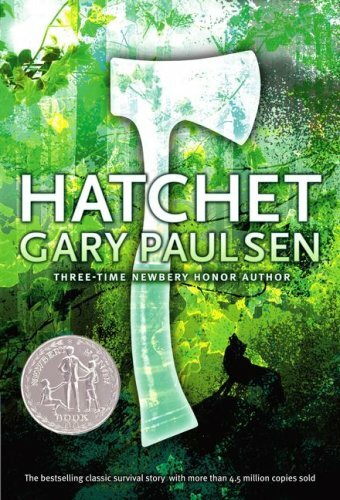 Exciting, perilous, and ingenious, this book has all the right elements to get a young teen (or tween) boy reading. I couldn't put it down (read it in one sitting in a couple of hours). For older teens that want to read something similar, I would strongly recommend Crazy for the Storm by Norman Ollestad, which is a true story about a similar situ ation (a teen in a terrible plane crash on a mountain, pilot and father dead), although it's resolved in just a day or two - not months. This particular edition has a great set of discussion questions in the back and a pre-reading project and a essay idea. Since we picked this up for a student my BF is tutoring, those are particularly helpful. I borowed this book from my boyfriend, who bought it at B&N. "You'd have to understand how bad things were for me back then." 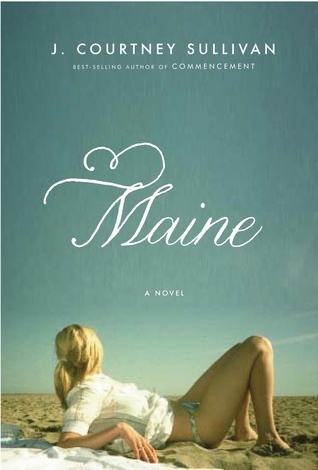 Three generations of women converge on the family beach house in this wickedly funny, emotionally resonant story of love and dysfunction from the author of the best-selling debut novel Commencement (“One of this year’s most inviting summer novels” —The New York Times). The Kelleher family has been coming to Maine for sixty years. Their beachfront cottage,won on a barroom bet after the war, is a place where children run in packs, showers are taken outdoors, and threadbare sweaters are shared on chilly nights. It is also a place where cocktail hour follows morning mass, nosy grandchildren snoop in drawers, and ancient grudges simmer below the surface. As Maggie, Kathleen, and Anne Marie descend on Alice and the cottage, each woman brings her own baggage—a secret pregnancy, a terrible crush, and a deeply held resentment for misdeeds of the past. "His voice was low but its jussive tone stopped her." adjective (especially in Semitic languages) expressing a mild command. "Kindly ask your mother to do me the honor of advancing the same tolerance for my absence now that your family arrogated for so long in regard to its own." "The day after that, I came home and found Jamie decked out like a Harlequin in all the fabric scraps from Mr. Viccars's whisket." A basket; esp., a straw provender basket. "Sam's world was a dark, damp maze of rakes and scrins thirty feet under the ground." I can't find a definition of this word, but all the sites suggest I might be misstyping "screens". Perhaps this is simply an earlier spelling of that word. "...as I watched a whinchat trailing a worm to feed his young, I wondered if I, too, should look for a helper in the rearing of my boys." a small Old world thrush, Saxicola rubetra, having a buff-colored breast and white streaks in the tail. "I set myself to do it every Sunday, adding to my harvest like a farmer building his stook." a number of sheaves set upright in a field to dry with their heads together. "Aphra harbored a wealth of superstitions in her simple mind and was ever ready to believe in sky-signs or charms or philters." a potion, charm, or drug supposed to cause the person taking it to fall in love, usually with some specific person. "But then I realized it was nigh to noon and Tom would be fair-clemmed and mewling for his milk." "...Jamie, all subdued, playing alone by the hearth, making towers from the bavins and thus strewing bits of broken kindling everywhere." a piece of kindling wood. "His face, half turned away from me because of the excrescence, was flushed scarlet, or rather, blotched, with shapes like rings of rose petals blooming under his skin." "The Bradford's' son was a rake-shamed, drunken fanfarroon who fortunately stayed mostly in London." "Lord Radisson... has been bruiting it about that he feels it his duty to stay and 'set an example.'" "People like love that crosses the years, funny workplaces, goofy dads who save Christmas, laser battles, whiny hags who marry charming Italians, and stylish detectives. But try telling someone a single true thing about human experience and they'll turn on the TV or adjust their Netflix queue while you starve to death in the rain." This farce of the publishing world is so far hilarious and frighteningly true. No matter how much he swears that truth is the last thing that we want. I finally finished this book. It took way too long, I had to force myself to not give up. I love nonfiction books filled with historical, random facts, and after having lived in New York I am even more of a lover of New York City history than an average reader. I thought this book would have the perfect blend of both. Alas, I should have remembered: while I did love Mr. Kurlansky's Cod, I did not finish and eventually gave away Salt, after getting about 1/3 of the way through. 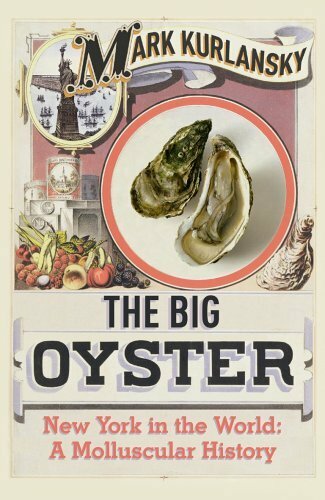 The Big Oyster should have been a magazine article. A nice, long, New Yorker-style article, but an article nonetheless. For long bits it is painfully obvious that Mr. Kurlansky is fleshing out the story, going for length, not pertinence. How many old oyster recipes really need to be reprinted in full? Two dozen? More? The history parts were very interesting and moved along at a good clip, but the gastronomy was tiring. I like reading books about food. But there is no single food item that one can write on and on and on about without running well out of things to say. There just isn't. Even if you're an oyster lover, I would be hard-pressed to recommend this book enthusiastically. As a non-oyster lover, I wish I had skipped it. I bought this book as a bargain book at a B&N. Oddly, it is the British edition. 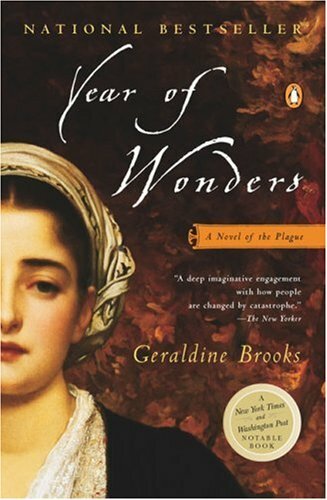 I had a couple of doctor's appointments this week, so I thought it would appropriate to read about the Plague. I love that this novel is based on a real story. During 1666, when the Plague is ravaging London, most of the English countryside is safe from the torment. However the town of Eyam was unlucky and the Plague starts killing townsfolks. In a shocking case of supreme unselfishness, the town decides to shut themselves off in a voluntary quarantine, to save the surrounding villages. We see the events through the eyes of Anna Firth, a young widow and mother of two boys, who is the servant to the new minister and his wife, Elinor. Anna and Elinor become close friends in their effort to battle the scourge, with Anna learning how to read, learning about different herbs and plants, and being impressed with her new friend's selflessness and Christian giving. As the sickness takes its toll, leaving no house unharmed in its wake, people are tested. Some come through stronger, some are undone by their losses, some blame God, some blame their fellow townsfolk. In the end, everyone's true colors are shown, and Anna has to make several difficult decisions. The story flowed like water. 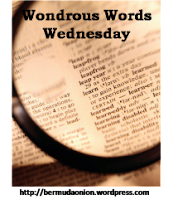 Although the author uses a lot of period-accurate obscure words, the vast majority are easily figured from context, and the language adds to the flavor and atmosphere of the novel. Anna is a wonderful heroine, she's simple and strong without high aspirations, but she works hard, is a quick study, and she's a survivor. A couple of times she seemed a little anachronistic (did they really know that the Plague could be spread through infected bedding and clothing?) but not in any way that hurt the story for me. It was a great story to get lost in. I got this book at the Friends of the Library book sale. 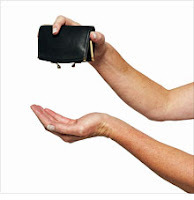 "I know a doctor who makes eleven thousand dollars a year," my mother said. Hm, is she bragging? That does not sound like a good thing to me. But then neither does living in a 12 x 12 room. My basement apartment in Queens was much bigger. We'll have to see. I don't know that I'll identify with this memoir much! Wow, this book, set in 1666, uses a lot of arcane (to me) language. And it's everyday, normal language for them - our narrator is not highly educated. This will actually take me a few weeks to do all the words from the book! I'm going to start off with just a few words this week. "he jumped when he saw me, making a great show of searching for the snath that had slipped from his hand when he'd dozed off." "My father's croft had been a joyless place." "So I drove her inside and fitted it up as her boose, fattening her through the cold months with their oats." A stall or a crib for an ox, cow, or other animal. "I could see she had expected me to pass to the kitchen garth and then come and let her in with accustomed ceremony." "She moved for the door, but I was quicker, blocking her path like a collie facing down an unruly tup." In 1963 at the age of 17, Dwayne Hallston discovers James Brown and wants to perform just like him. His band, the Amazing Rumblers, studies and rehearses Brown's Live at the Apollo album in the storage room of his father's shop in their small North Carolina town. Meanwhile, Dwayne's forbidden black friend Larry, aspiring to play piano like Thelonius Monk, apprentices to a jazz musician called the Bleeder. His mother hopes music will allow him to escape the South. Publishing July 25 by Little, Brown. "And of all days of the week, it was Sunday that I now dreaded. What had been my favorite day was now accursed to me, for it was on Sunday, in church, that our failure to arrest the Plague's ravages was apparent in the emptying pews and missing faces." How dreadful to live through the Plague! Of course more dreadful to not live through it, but it is a truly fascinating time to learn about. I am very sad to say, I just didn't get this book. 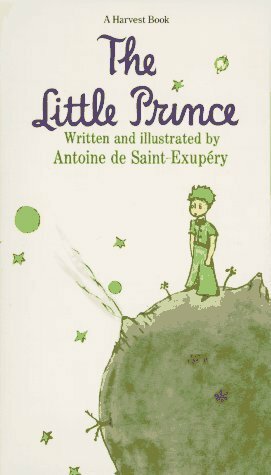 Everyone adores it, swear it's one of the best, most inspiring books ever written, with brilliant philosophical insights. Perhaps my expectations were (way, way) too high, but I found the book odd, trite, and self-important. Yes, its philosophical message is sweet and should be attended to, but it is presented in a very heavy-handed way. One could argue that as the book is for children, the allegory needs to be more obvious, but personally I find the opposite is true. 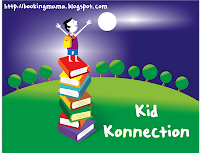 Children are pretty attuned to stories and don't need to be bludgeoned with morals. Maybe I'm too old for this book. I read it too late. If I'd read it in college it might have spoken to me more, but I'm not sure. I think I'm just too practical and too sensible. I've never been a big fan of allegories. The pictures are cute. The prince is a unique character. The notion of living on a planet the size of a house with 3 volcanoes (one of them dormant but who knows), with a flower that is the only one of its kind in the road, is sweet and fun, but unfortunately there wasn't a fun story to go along with it. I'm not sure what age kids would like this book. Maybe junior high schoolers who write poetry? It's now a classic of sorts so obviously it does speak to a lot of people, but not to me. I have heard this book praised since the day it came out. In fact, when it was published I was a freshly minted editorial assistant in Manhattan, and it was widely loved by editors for repeating (and repeating) the advice: kill your darlings. Oh, if only the authors would listen! Naturally, I enjoyed the memoir parts immensely. As I am not, and don't aspire to be, a writer, the advice on writing was not as fascinating to me as it would be to an aspirational scribbler. His life however was both interesting, and also refreshing in its ordinariness. Yes, I have read a few Stephen King books (Different Seasons, The Shining, half of It) and I have wondered if the man behind the books must be nuts to think of these stories. No, he isn't. He's just very creative. And a pretty good writer. And one who is very open about editing, cutting, and even about working with other readers on drafts, which I just love. Many writers seem to think every word they commit to the page is precious and no one else can understand (or therefore properly read and suggest changes) their vision, and he shows quite compellingly how narrow and short-changing that opinion can be. His prose flows smoothly, the different parts marry up much better than I would have guessed, and the action (the car wreck) in particular was a real page-turner. This book should be a must-read for every aspiring author, and really it has good advice for anyone who even needs to write for their job. It was a real breath of fresh air. "In the early nineties (it might have been 1992 but it's hard to remember when you're having a good time) I joined a rock-and-roll band composed mostly of writers." This is from the First Foreword. In the very first sentence he talks both about writing, and about a fun thing he did in the past, which is extremely appropriate for a book that is both a memoir, and a writing guide. Publishing June 21 from St. Martin's Press. I completely rearranged the furniture in my guest bedroom/office, to make the office part more worka ble for me. At first I thought I'd get a couple more bookcases, but I don't have any money, I have a bunch of bookcases already and am getting annoyed at bringing in a 4th kind of bookcase that doesn't match any of the others. 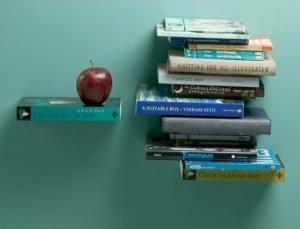 Plus, I remembered another option that I really want to try: Invisible floating bookshelves. Has anyone tried doing these? Any tips/advice? 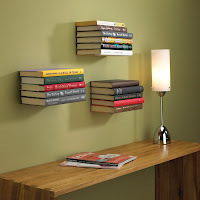 Anyone had a bad experience with the invisible shelves? 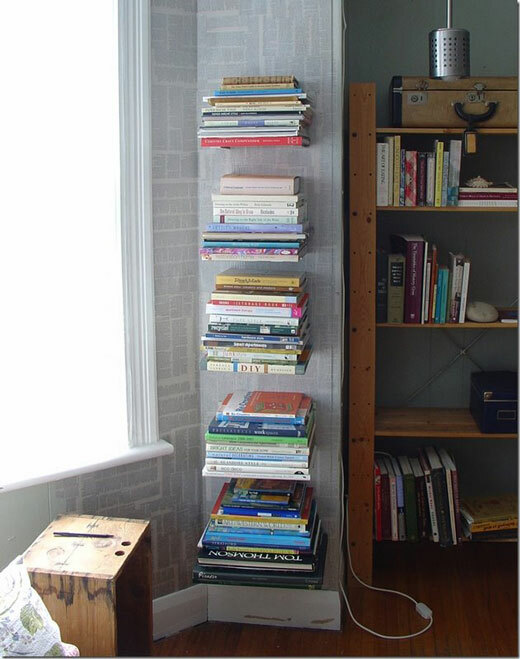 We're doing them with an L-bracket and wood screws, not with one of the kits, so the book on the bottom will be permanently stuck to the wall, so kind of destroyed/not accessible. 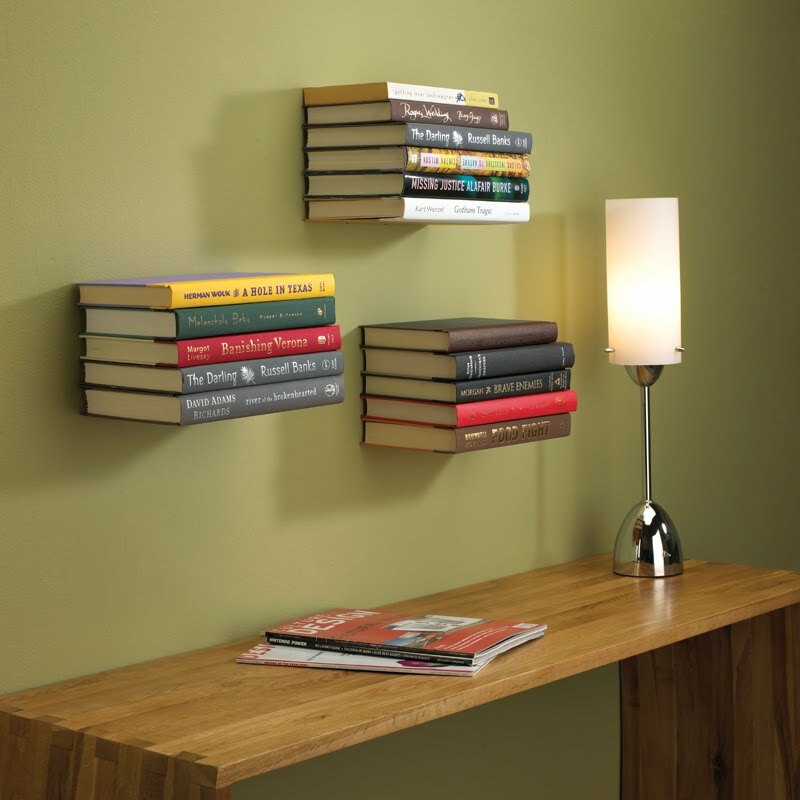 But a heck of a lot cheaper than buying the fancy shelves, which I am not convinced don't hurt the books at all. "During period four, three of my friends were laughing so hard in the back of study-hall that Miss Raypach (Rat Pack to you, chum) crept up on them to see what was so funny. She confiscated The Village Vomit, on which I had, either out of over-weening pride or almost unbelievable naivete, put my name as Editor in Chief & Grand High Poobah, and at the close of school I was for the second time in my student career summoned to the office on account of something I had written." The first half of this book is memoir, and here Mr. King is recounting his experience in high school having written a spoof of the school newspaper. I actually managed for once to have both the audio and print versions of this book, and I thought - score! I can actually see the photo insert on an audio! Only to find out that for the first time, a PDF of the photo insert was included as a second download when I got the audio! Wow! Way to go Hachette Audio - you really stepped up with the technology and I hope other publishers follow. I have been complaining about this limitation to audio books for years but need to no more! I thought this would be a good audio for me and my boyfriend to listen to on a long car trip, but he deemed it too girly and put in ear plugs so he could read his own book, although he did pop up and listen to parts, such as the chapter about "30 Rock" and the one about Ms. Fey's Sarah Palin impersonation. For the Palin bit, they used an actual clip from Saturday Night Live, showing once again the superiority of audio for certain types (humor, memoir) of books. She reads clearly and with humor, if a little fast. 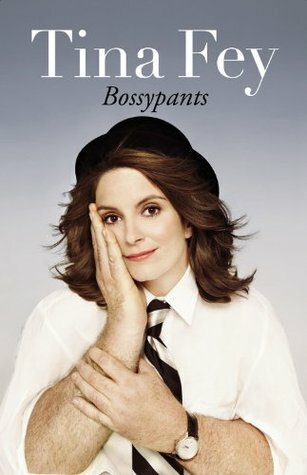 Instead of a celebrity book about how fabulous her life is, Bossypants is mostly about how Tina is a pretty ordinary woman, with a life much like mine, albeit with a larger income (although in Manhattan it doesn't go much further.) She's very relatable, especially to women in her cohort. Her stories about her professional life are interspersed with stories about growing up, and those were mostly the ones that lost my BF. He didn't care about awkward adolescences, nursing, or other "girly" bits (his word), and I could see how certain stories were bound to lose him. But I enjoyed the book quite thoroughly. It was funny and self-deprecating, and I felt like Tina was a friend from elementary school telling me stories. Her background was familiar and homey. Perhaps it is simply because we are somewhat close in age, but I really felt like if I met her (especially back then), we would be friends. I did periodically poke the BF to listen to funny parts like her honeymoon cruise that went terribly wrong, early days working in Chicago improv, and her inventive swearing. Hilarious, down-to-earth, and without a celebrity cliche to be found, Ms. Fey has written a thoroughly enjoyable memoir that women everywhere will love. I bought the audio from Audible, and received the hardcover from a friend. This book was recommended to me repeatedly when it first came out, by independent bookstore manager and owners, as a mystery that even non-mystery readers should read. I agree. Luckily my step-mother was fooled by the movie tie-in art and rebought the book they already owned. Mickey Haller is a moderately successful defense attorney in L.A. who works out of his Lincoln and doesn't have an office. With a wide-ranging practice, he handles everything from drugs to hookers to the occasional murder. But he's always just keeping his head above water, financially. When a potentially very lucrative murder case comes his way, it seems as if his luck has taken a turn for the better. Naturally, that's not exactly how things turn out. For the first 100 pages or so, I was interested but not captivated. I was chugging along happily, but figured I'd take a week or so to read this. The next night, I was hooked. I read until well past my bed time, put the book down very reluctantly, and picked it up immediately the next morning, reading straight through to finish by lunch time. Mr. Haller is a nice change of pace for a legal thriller protagonist - twice-married, yes, but with excellent relationships with both ex-wives. Also he has a house and a daughter and no drinking problem. I found him to be a realistic and interesting character who I did root for throughout. His office is unique, but his practice is probably fairly typical, again atypical of most fictional lawyers, and it's nice that we get to see that mundane, daily life of a defense lawyer before the real action starts, showing us just what is stake for Haller with this rich client. Quite a few twists and turns are to be had. It was thrilling and even had me gasping at a couple of points. 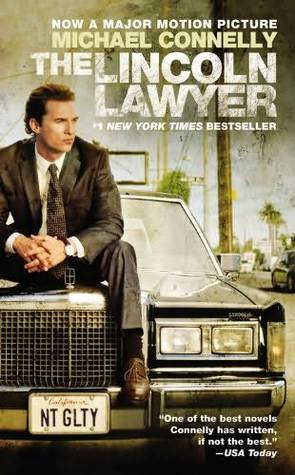 I thoroughly enjoyed it - a legal thriller at its best. I picked up the next Mickey Haller book in the series, and the third comes out this month I believe. I've not seen the movie yet, but I do plan to, although I might wait for the DVD. I borrowed this book from my step-mother. 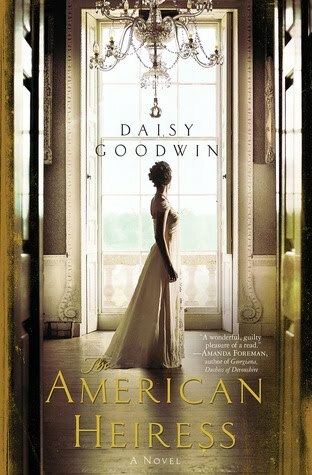 Publishing 5/11 by New American Library. I first heard about this book on NPR's This American Life. I suppose this happens nearly every day, but it is a situation where you never hear about the other side of the story. When Darin Strauss was 18 and about to graduate from high school, he was driving with friends on Long Island, when another classmate on a bike darted in front of his car and was killed. Darin was found to be not at fault. A few years ago Darin realized he'd lived half of his life after this accident and the renowned novelist finally decided to write about his experience. Wow, what a harrowing experience. We've probably all thought about this situation as we've slammed on the brakes to save a child, a dog, or another car from destruction. In those situations we've been lucky and had sufficient time to react. Darin wasn't given that opportunity. I find it interesting that drivers in No Fault accidents resulting in death have a much higher rate of PTSD than drivers who are found to be at fault. Mr. Strauss is honest with us, even at times pointing out when he was being disingenuous, showboating, or simply lying. He tells us when his memory is faulty, when it slips as they all do over time. He obviously feels incredibly guilty-ridden although he never states that outright. Why that day did he live and Celine die? What if the reverse had been true? Why couldn't he have done something - anything - differently that day to prevent this tragedy? Celine's death hangs over his life every hour, every day. Luckily Mr. Strauss not only has a riveting story to tell that we've all worried about, if only momentarily, but he's also a top-notch writer. He's not overly writerly, telling his story in a straightforward and unadorned fashion, which suits the topic to a T. He covers all bases, leaves no stones unturned in his quest for the truth of what happened, and takes the blame for his part in the girl's death, even if there was no fault. The storytelling is crisp and precise and feels as open as a wound. I hope he's gained some measure of peace in putting his story, and Celine's, out there for others. The author's daughter, a 38-year-old pediatrician, had a heart attack and died on day while running on the treadmill. The author, "Boppo," and his wife "Mimi" move into their daughter's house to help their son-in-law with their three grandchildren. 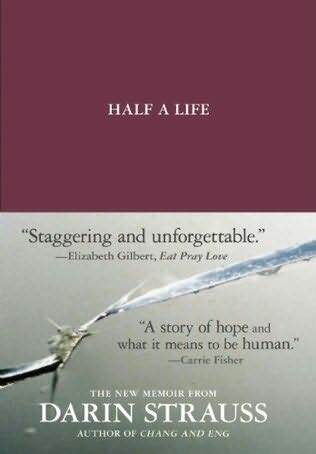 Unlike other memoirs of grief that I have read, this one really didn't make me sad at all. 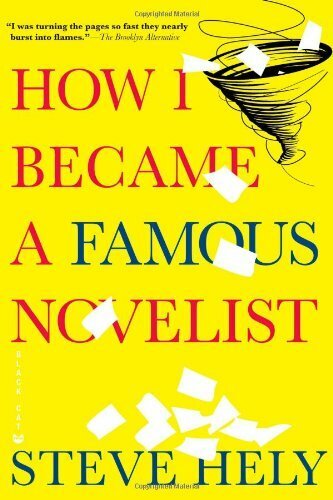 Written as a series of vignettes, without chapters or much structure, this memoir reads like a journal of sorts. It's very accessible in that way, as you really are in this situation with Boppo, Mimi, Harris, and the kids. On the other hand it's also distracting as it's hard to keep track of all the names of friends, colleagues, and acquaintances. And the celebrity name-dropping I really could have done without, even if it is legitimate and brief. The kids are sweet, honest, and real. They are the real heart of the book. 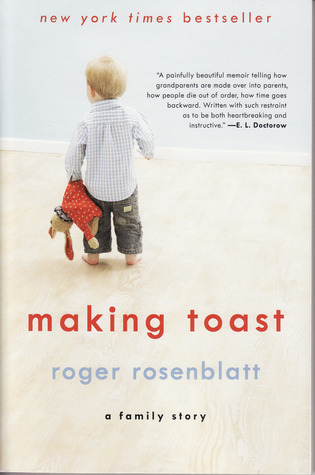 Whether they are recreating their mother's death, demanding toast for breakfast, or advancing to a new grade in school, they are the focus of everyone, the reason for going on. The book is quite short and I read it in just a few hours. Other grief memoirs have been more cathartic and more relatable. 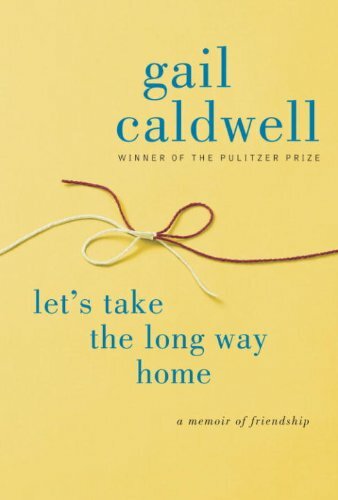 It is well-written and precise and thoughtful, but I had wished for more emotional resonance.